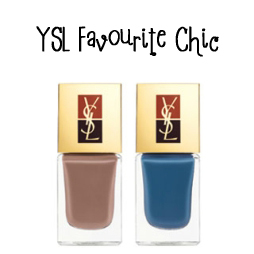 Snowdrop85: You Nearly Got Me YSL! Whilst buying a new YSL Faux Cils in John Lewis yesterday I was captivated by their new Spring 2011 collection. 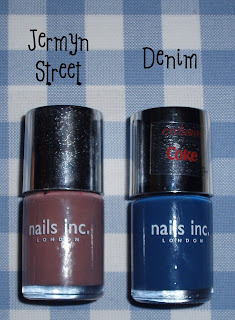 Although the whole collection is beautiful I quickly became obsessed with the nail varnish duo that is featured in the collection. I love this new concept that YSL first launched in the past summer. The idea is that the nail varnishes come in a duo of two complimentary but contrasting colours so you can do a French tip with one of the colours. The brushes are shaped to make this a little easier. I went away considering going back to buy the set but at £24 I was convinced I could dupe it at home! 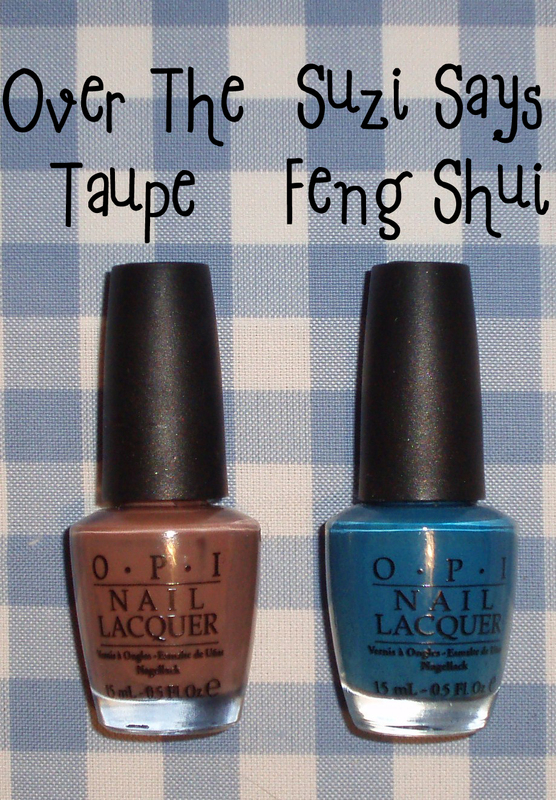 Secondly I have OPI Over The Taupe and Suzi Says Feng Shui . Ok, I know they aren't quite the same but think they are near enough for me! 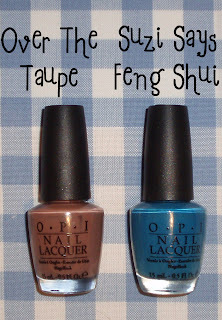 In fact I think the OPI Over The Taupe and the Nails Inc Denim are the most similar to the YSL version. I think I'll wait until YSL bring out a duo I don't already own! Do you like this colour combo? What do you think of the French tip twist?